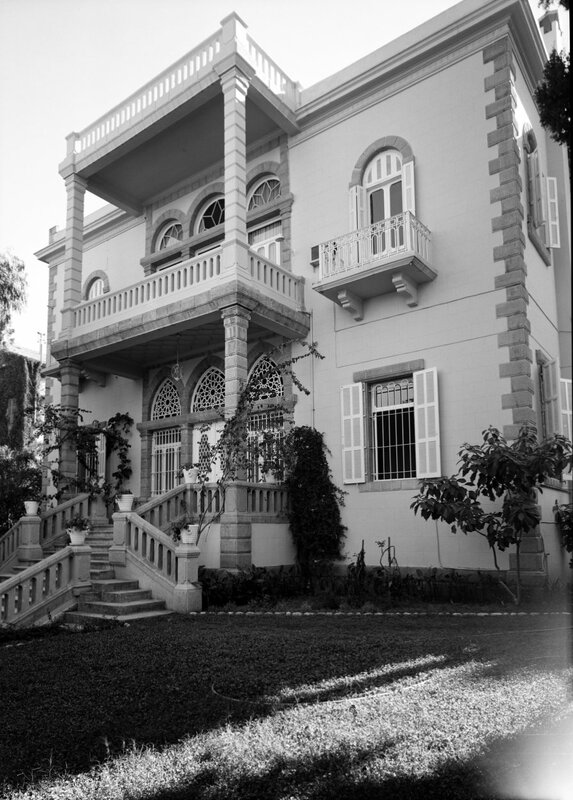 A house in Rue Oidih Mezher, with access off Rue Abdul Kader, was leased in 1942 as the residence of the first British Minister to Syria and Lebanon, Sir Edward Spears. He played a major part in securing Lebanon’s independence in 1943. The lease was renewed for two years in 1947. The landlord, Mr Mezher, who lived next door, was helpfully pro-British but the house, in quite a charming Lebanese-Venetian style, was not initially particularly liked by incumbents and had no proper roof because Mr Mezher intended to add another floor in the future. After he died, his son-in-law, Mr Sami Saab, became landlord and was likewise content with renewing leases. Meanwhile, the Post and the Ministry of Works had an eye out for an alternative residence. None was found so the proposal in 1960 was to take a a new 21-year lease on the residence; buy about 1,000 square metres of adjoining land on the west to enlarge its garden; and buy the further 1,500 square metres of land needed to complete the square and build on that 13 flats for UK-based staff. The flats idea was blocked by the Foreign Office, which objected both to putting senior and junior staff in the same building and to staff overlooking the residence garden. 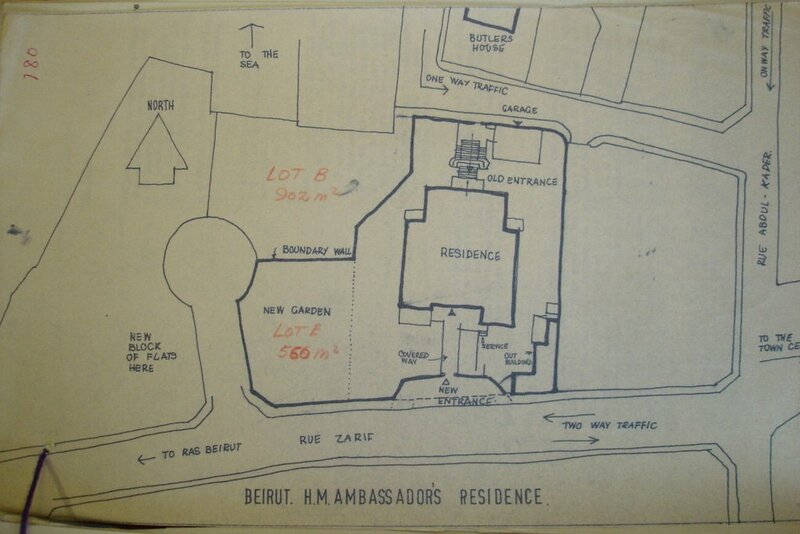 As a result, the lease was extended to 1971, improvements to the house were completed in 1962, including a new entrance and covered way to Rue Zarif, and the adjacent 1,000 square metres plot (called Plot 4601 Lot B, Musetbeh District) was bought freehold in 1964 so as to enlarge the garden. 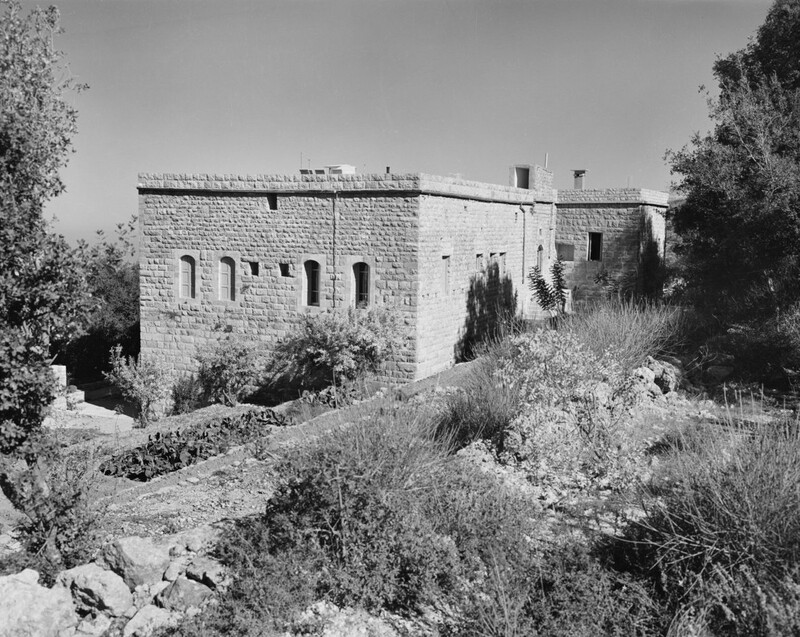 Sir Edward Muir, Permanent Secretary at the Ministry, touring the Middle East in April 1965, was strongly in favour of buying the house if possible. 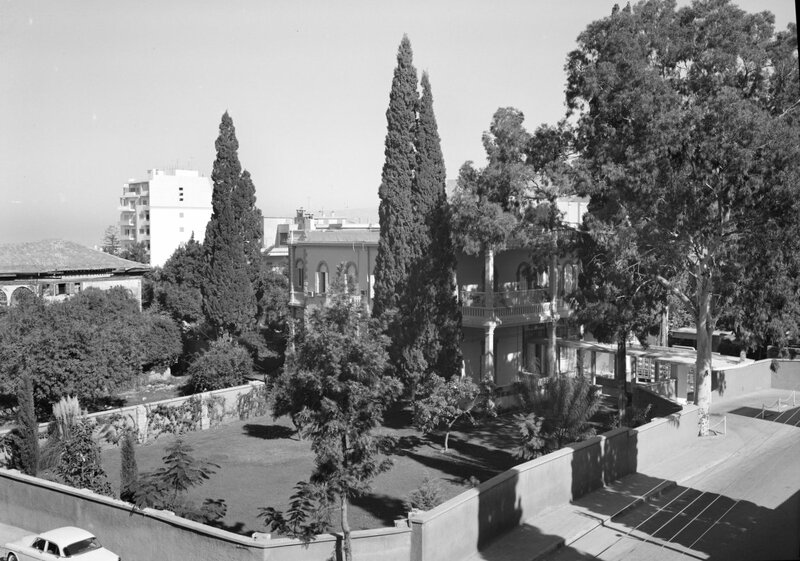 It was one of the few of its kind left in the heart of Beirut, it now looked good, the garden extension had been a success, and the alternative of building out of town, where the village of Yarze had been under discussion, had distinct shortcomings, including the probable need for a pied-à-terre in town. In the event the lease was renewed for five years from 1971, ten years from 1975, and again from 1985. The house was given up in the late 1980s. After a few years of vacancy and neglect, the house was bought by a philanthropist to serve as an orphanage run by a major social welfare institution. Residence viewed from SW across newly-acquired garden area with new front entrance on the right, 1964. Sir Edward Spears told the Foreign Secretary, Sir Anthony Eden, towards the end of 1944, that “the block of flats, on the top floor of which the legation in Beirut is housed, is quite unsuitable.” The chancery offices then moved to leased premises in Rue Phénicie, and the consulate was in Rue Madame Curie during the 1950s. New offices of about 3,200 square metres on Avenue de Paris, with three staff flats on the top floor, were built under a lessor scheme in 1959, with an initial 10-year lease, later extended to 1979. A garage block and servants’ quarters were subsequently built on the same site, with a co-terminous lease. Purchase of this 5-storey building came under consideration in the 1960s, but it had not been well enough built to justify the price asked. 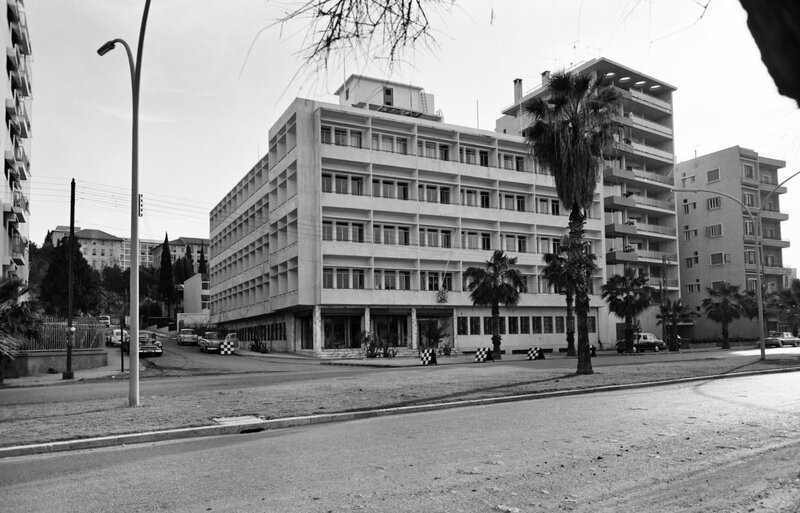 A great deal of glass was broken in the building during demonstrations in 1967, and in 1983 the Americans moved into some of the office space after their embassy was blown up. After they left, and with a sharp deterioration of the general security situation, the lease of this building was terminated. In the early 1980s, it became necessary to set up offices and a residence in both West Beirut (where the pre-civil war accommodation was sited) and east Beirut, on the other side of the Green Line. Offices were dispersed for security reasons. In West Beirut, the Avenue de Paris offices were evacuated and two leased senior staff flats in the Shamma Building were converted to offices and their security strengthened. But one of them was hit by a rocket propelled grenade in August 1984 and public business thereafter ceased at this building. The old residence, leased since 1942, remained available for use until the late 1980s. 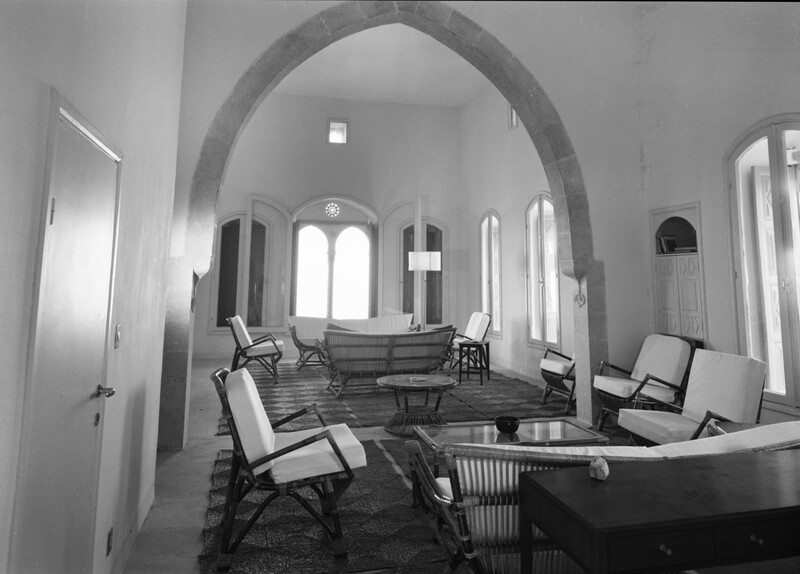 The arrangement by which the Foreign Office used to rent a cottage as a retreat in the mountains for ministers and (since 1952) ambassadors at Beirut lapsed in the later 1950s. In 1961 the ambassador, Sir Moore Crosthwaite, identified a new possibility for the Ministry of Works to lease. 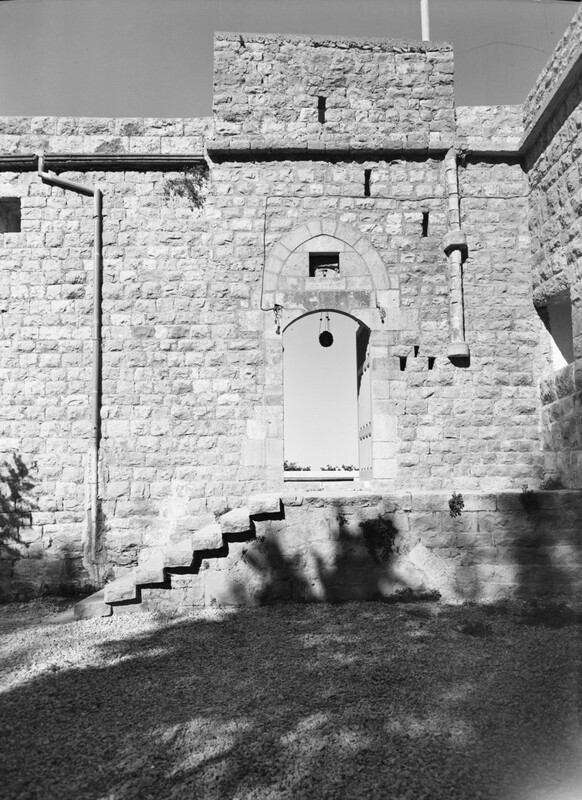 It was a lovely old stone house with magnificent views in the village of Abey, about 25 kilometres from Beirut and near Shemlan, where the Middle East Centre for Arabic Studies was based. More prosaically, it was listed as Plot 1355 and comprised nearly a hectare of land. In the 1840s it had been lived in by Colonel Henry Churchill, a staff officer on the British Expedition to Egypt, during some of his ten year residence in the country. 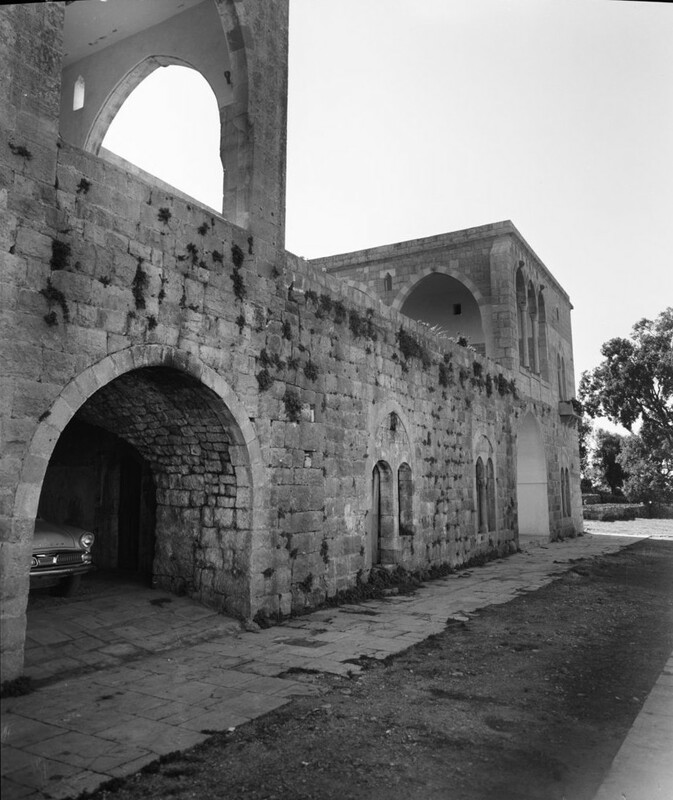 The house had for long belonged to a major Druze family, the Amine ed-Dine, but was falling seriously into disrepair. 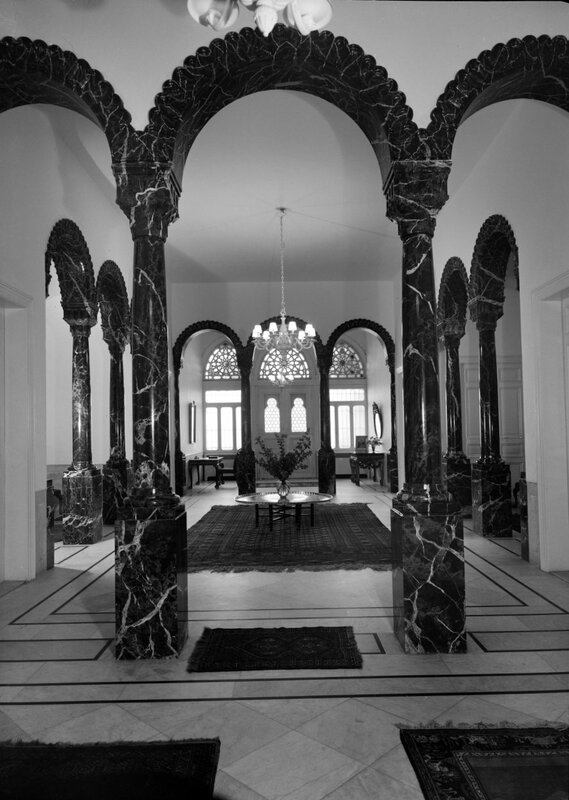 In 1961 the Lebanese Association for the Preservation of Historic Buildings was interested in seeing the building restored and its founder and president, Lady Yvonne Cochrane (née Sursock), suggested to Crosthwaite that the Association would lease the property and arrange its restoration provided that the Office of Works would then sub-lease it from the Association. This was all satisfactorily arranged in 1962, mainly by the architect Cheikh Pierre El-Khoury, and the farmhouse became an idyllic and well-used retreat. In 1970, the owner, Riad Amine ed-Dine, whose gambling debts had become insupportable, decided he wanted to sell the property. Lady Cochrane showed the embassy some alternative houses but none matched Abey, so the embassy recommended that the Ministry of Public Buildings and Works should buy the property. The Ministry agreed, on condition that the retreat should be available for use by other embassy staff when not being used by the ambassador. The purchase was eventually achieved in August 1973, after bizarre last-minute negotiations that AJD Stirling of the Beirut embassy entertainingly described in a despatch to the foreign secretary of 15 September 1973. During the troubles in summer 1983, the farmhouse was extensively damaged by shelling and its contents looted. 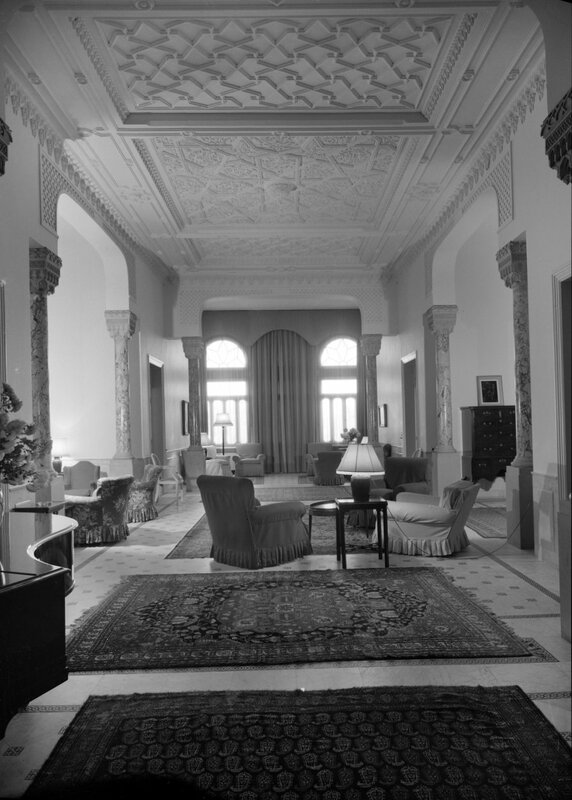 It was repaired and re-furnished, and became an even more welcome retreat than hitherto for ambassadors and staff from their tense and restricted lives in Beirut. The property was sold in 2001. Entrance front, with terrace above, 1964. 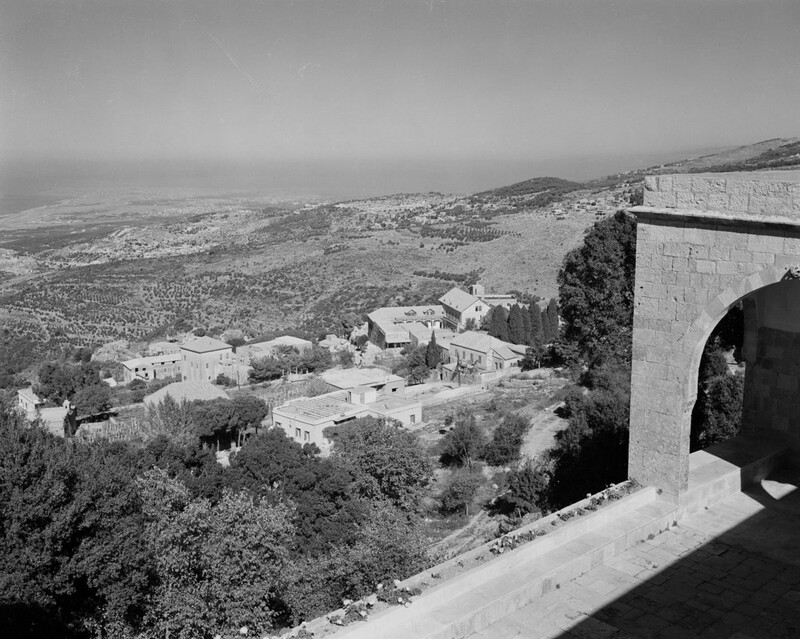 View from the terrace, with the Mediterranean in the distance, 1964. Side entrance to farmhouse, 1964. 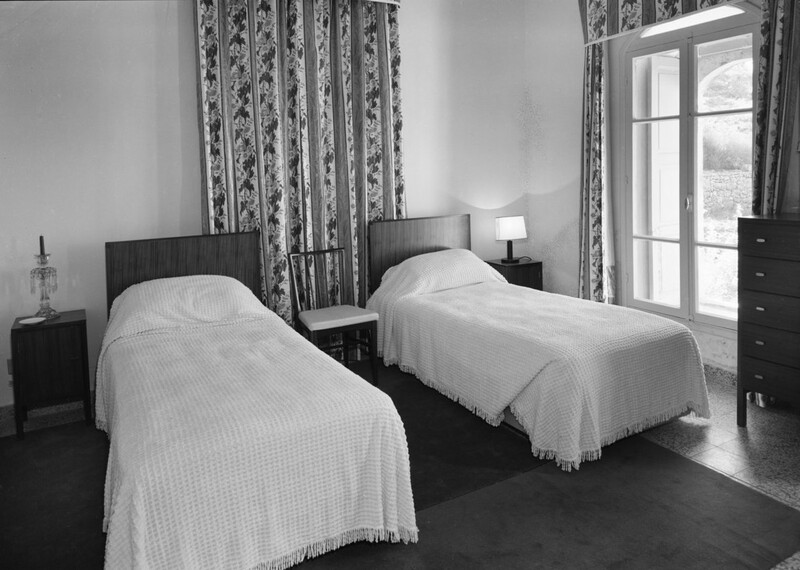 One of the three bedrooms, 1964. The farmhouse, viewed from the rear, 1964.